Reproduction and use of this material may require permission from the copyright holder. 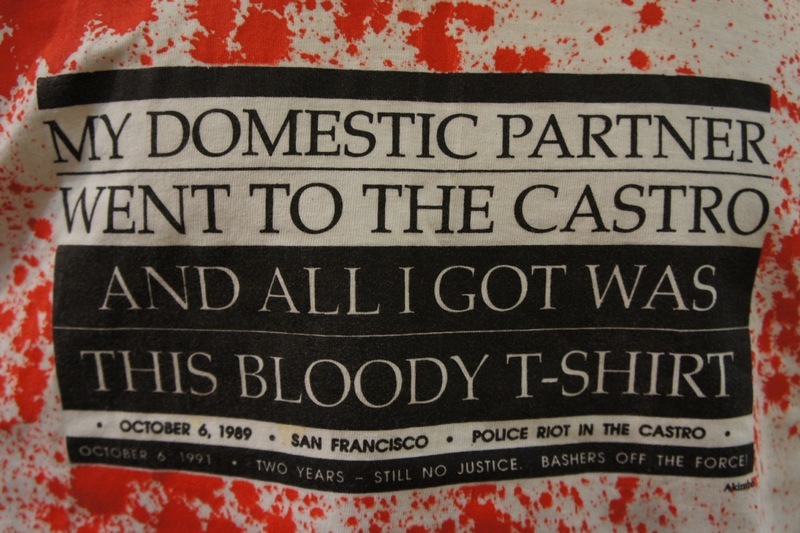 Please contact the James C. Hormel Gay & Lesbian Center or Wearing Gay History for more information. 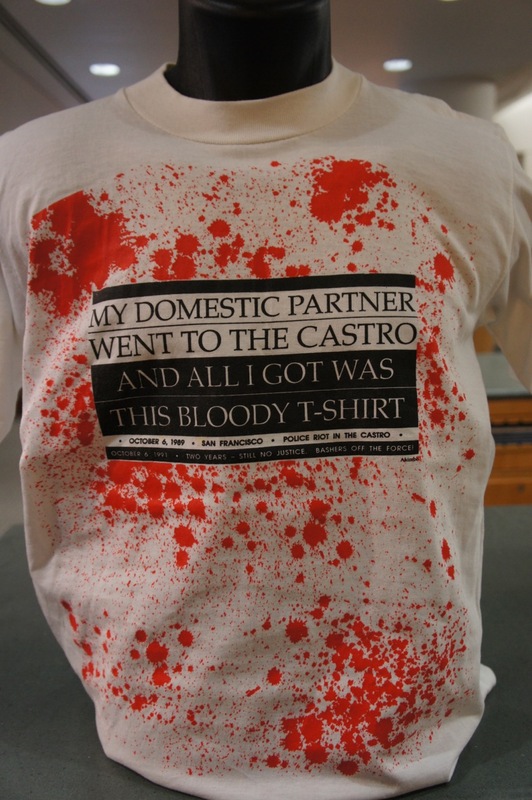 “This Bloody T-shirt,” Wearing Gay History, accessed April 19, 2019, http://wearinggayhistory.com/items/show/2658.